This spring, Eric Johnson and the GardenSMART film crew will lead you down the garden path through Holland and Belgium's most spectacular gardens like those of Amsterdam, Arnhem and Bruges. Our 11-day cruise departs May 6th, 2018, and we invite you to join us. Indulge your "green thumb" at the height of tulip time, visiting Kuekenhof Gardens – also known as the "Garden of Europe"(the world's second largest flower garden after the Dubai Miracle Garden). Touring this garden with Eric will provide you with gardening techniques to incorporate into your garden at home. Next see the Aalsmeer Flower Auction – the largest in the world. 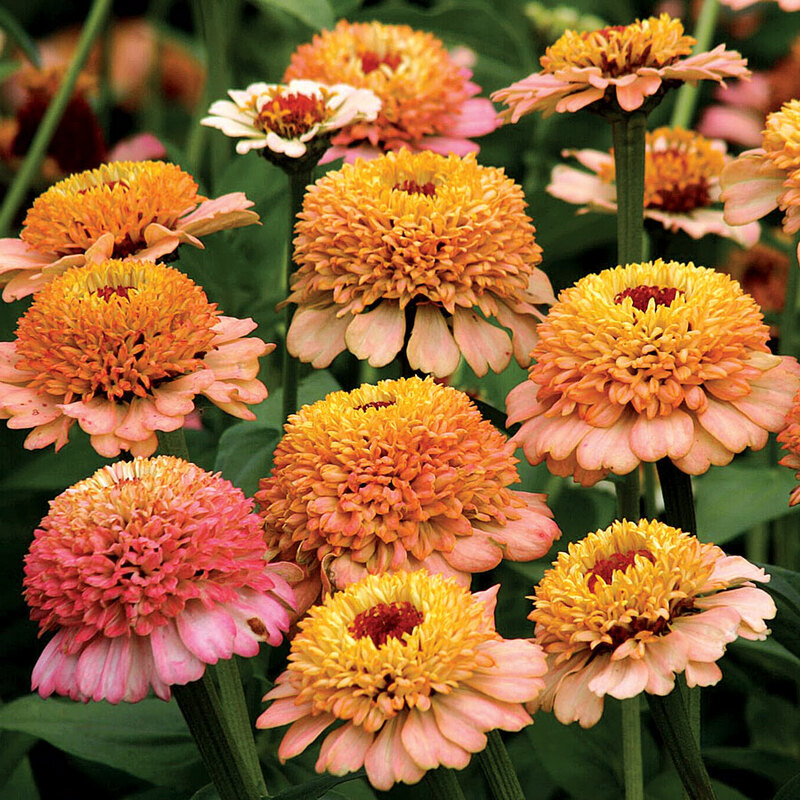 Twenty million flowers are sold from all over the world daily! From there, we will head to the flagship of the Amadeus fleet – the new MS Silver III – our five-star floating home as we cruise the rivers for the next eight days. Onboard, our chef will prepare fabulous local cuisine that you can wash down with luscious regional wines or beer. History buffs will love the WWI tour in Flanders Fields, Anne Frank's home and the Palace of Het Loo. Art lovers can indulge in classics at the Van Gogh Museum and see Paul Ruben's paintings in Antwerp. 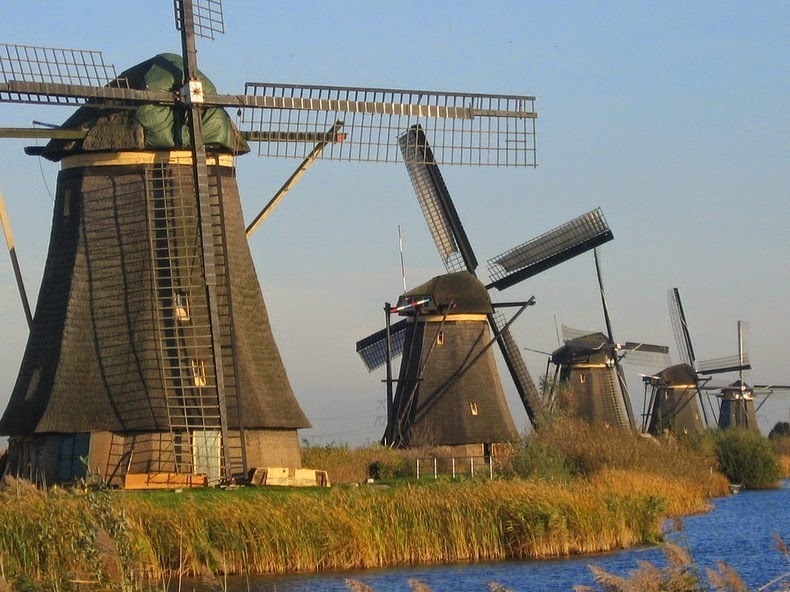 You will explore the UNESCO World Heritage Site windmills of Kinderdijk and cruise past charming villages and ships. You will have a chance to walk through the romantic town of Bruges, known as the "Venice of the North." It's a delight at every turn down the garden path! After seeing some of Europe's best private and public gardens, enjoy nightly shipboard talks with Eric and crew about horticulture and discover the tricks of filming beautiful gardens. This carefully crafted, culturally rich adventure will be the ultimate inspiration for growing the garden of your dreams. Sail right into the pages of a storybook on our European garden tour through Holland and Belgium. Our journey begins in historic Amsterdam. Join fellow garden lovers and nationally known Eric Johnson, host of the nationwide PBS series GardenSMART, as we explore beautiful gardens while filming a new GardenSMART program. Enjoy learning and exchanging your knowledge, gardening tricks, and maybe even some of your funnier moments in the dirt at our daily lectures. You will also visit the picturesque towns of Ghent, Kinderdijk and Bruges where windmills dot the countryside. If you are an art or WWII enthusiast, you won't feel left out. See amazing works by Rembrandt, Van Gogh, Van Eyck and others; as well as the trenches from A Bridge Too Far. Whether you are a garden lover, history buff or art enthusiast you can be part of this once-in-a-lifetime experience, and help support PBS programming at the same time! Our European garden journey through Holland and Belgium begins in historic Amsterdam. 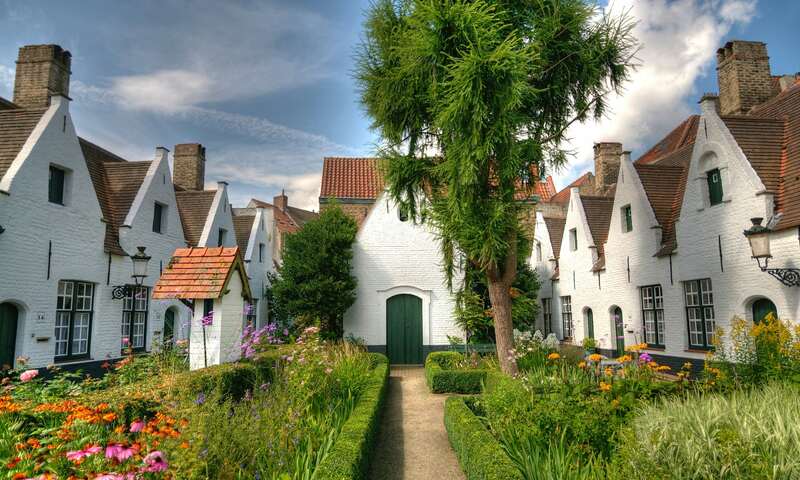 Over the next few days you'll enjoy an in-depth look into Holland's rich history. Tonight enjoy a wonderful welcome dinner with our hosts and fellow travelers. We'll start the day with a thrill: getting up-close and personal with Rembrandt and Vermeer on a private tour of Amsterdam's remarkable Rijksmuseum. You can continue your encounter with artistic genius at the nearby Van Gogh Museum, home to 200 of Vincent's works or enjoy the nearby charm of Vondelpark. 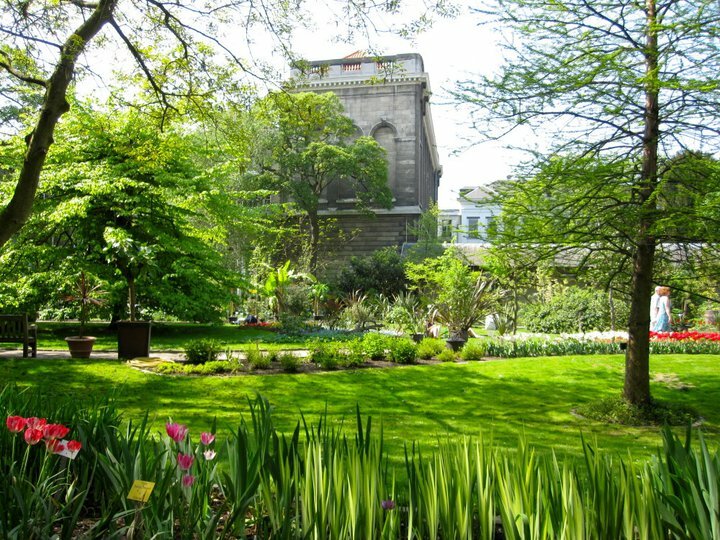 In the afternoon, you may wish to visit the Hortus Botanicus, one of the oldest botanical gardens in the world. Founded in 1638, it contains some 6,000 plants of over 4,000 different species. We'll begin our day in Europe's biggest building - filled with acres of flowers - learning about the worldwide distribution of beauty that begins each day at the Aalsmeer Flower Auction, the largest in the world. Twenty million flowers from all over the world are sold here daily. This morning you'll tour the facilities and see where the auction takes place. Also known as the Garden of Europe, Keukenhof Gardens is the world's second largest flower garden after the Dubai Miracle Garden. After a full day's outing, return to Amsterdam just in time to board the MS Amadeus Silver III. Welcome drinks and dinner will be served on board. Travel back in time to the days of the Royal House of Oranje-Nassau as we tour the 300-year-old palace of Het Loo that was built for William III as a gentleman's summer retreat. 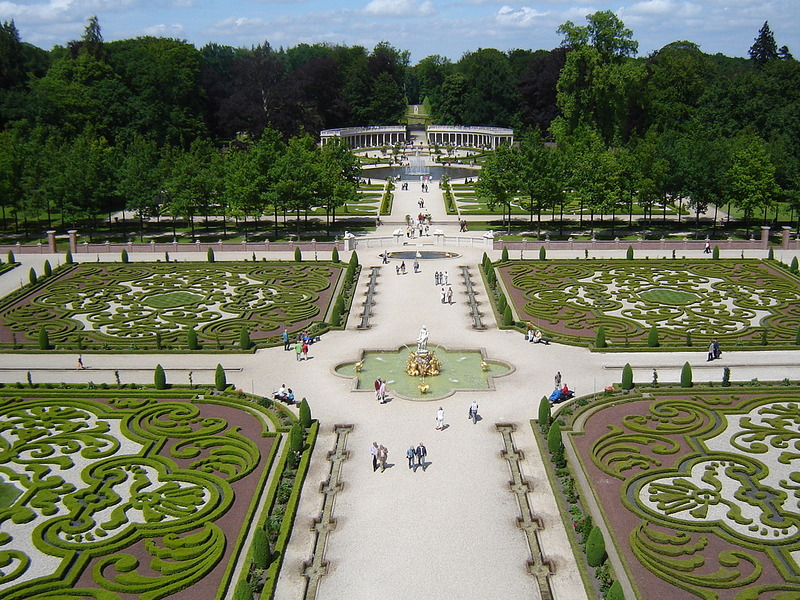 After, wander the garden punctuated with magnificent fountains often compared to the gardens of Versailles. Lunch will be served on board. For those interested, a battlefield tour that features the Airborne Museum of Arnhem will also be included. This evening, set sail for Kinderdijk. A visit to Kinderdijk gives you the extraordinary opportunity to visit a UNESCO World Heritage Site in Holland. UNESCO considers the polder area with its dykes, boezems, mills and pumping stations to be proof of human inventiveness in reclaiming and protecting the land. A network of 19 windmills was built around 1740, to drain the polder of Kinderdijk and other surrounding low-lying lands. After an in-depth tour, lunch will be served on board. Enjoy an afternoon in historic Rotterdam. In the evening we set sail for Antwerp. Much like its diamonds, Antwerp sparkles with an impressive range of architecture, from medieval buildings to the Art Nouveau styles. Antwerp is a splendid city with most buildings dating from the 16th and 17th centuries. The past is also represented by the numerous paintings of Peter Paul Rubens who lived in Antwerp in the early 17th century. Three major paintings of his may be seen in the Cathedral of Our Lady, a masterpiece of lace work in stone. Begun in 1352, it is one of the finest gothic buildings in Europe. We also visit the Grote Market (Grand Square) surrounded by the Golden Age town hall and guild halls; and het Steen (Steen Castle), Antwerp's oldest building. This evening we set sail for Ghent. This morning we'll meet with our local expert for a walking tour of the historic center of Ghent. Together we will visit soaring St. Bavo's Cathedral, home to Van Eyck's sublime altarpiece, The Adoration of the Mystic Lamb, which was stolen and hidden by the Nazis during WWII. After a walking tour, take a stroll and savor an independent lunch along the scenic network of canals. From Ghent, we travel to charming Bruges, one of the oldest and most beautiful towns in Flanders. Your guided walk will highlight the Church of Our Lady, with its famous Madonna and Child sculpted by Michelangelo. Stay in Bruges for an independent lunch. In the afternoon, we return to Ghent and re-board the MS Amadeus Silver III, or join your guide for a moving excursion to the WWI trenches of Flanders Fields. Half a million soldiers were killed here, making it one of the deadliest - and today the most hallowed - stretches of land along the Western Front. With the aid of a local expert, we'll tour the monuments, visit a thought-provoking museum, and see "the fields where poppies grow." This evening admire the illuminated town of Ghent as we depart for the canal-lined town of Utrecht. Kasteel de Haar is the largest castle in Holland. De Haar has everything you expect from a castle: towers, turrets, moats, gates and suspension bridges. Surrounding the castle you can find a romantic chapel and 135 acres of beautiful parks and gardens. Without a doubt, Kasteel de Haar is one of the most luxurious castles of Europe. We will be back in Amsterdam for our farewell dinner on the ship. 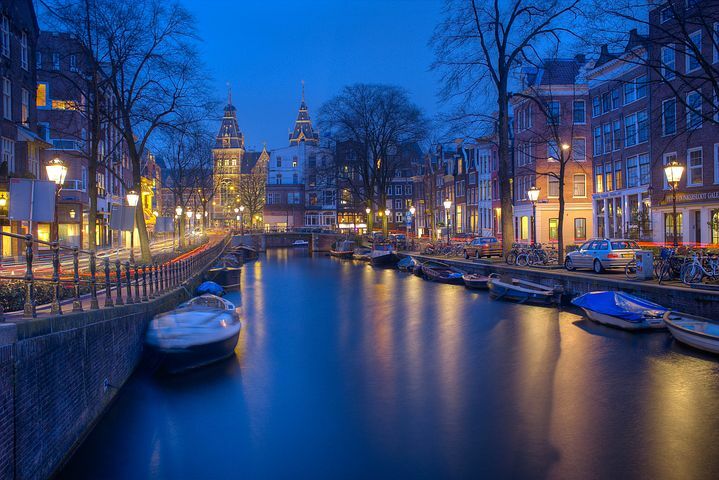 After dinner, enjoy free time to explore Amsterdam's nightlife. Following breakfast, we will transfer you to the airport for your international flight home filled with happy memories from a wonderful trip. Holland and Belgium River Cruise, May 6th – 16th, 2018. Early booking discount ends November 15th, 2017. For details about this unforgettable trip, visit alkitours.com.